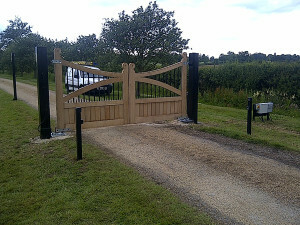 Gates are not just barriers that can be opened and closed, gates represent peace of mind and security for your property. Whether you are a homeowner, a business owner, or you’re responsible for an industrial facility, a gate should be your first thought when it comes to security. But not all gates are the same. You have a massive choice of materials, styles and also operation including both automatic and manual. We’ve made the process easier for you by looking at some of the most popular options for your needs. Metal is one of the most durable materials available for your gates. If a metal gate is maintained properly it can last a lifetime. 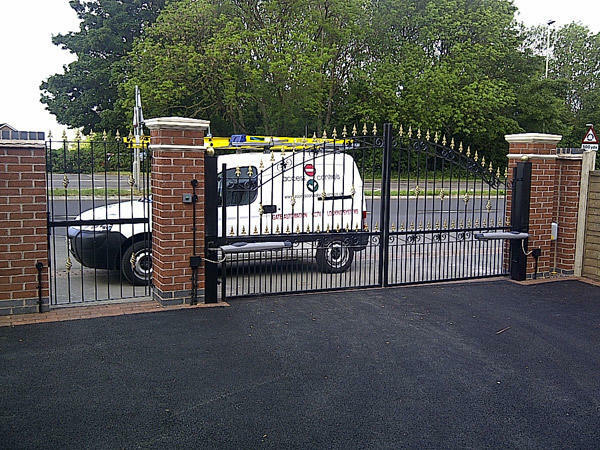 Metal gates are well suited to both domestic and commercial properties as they require minimal upkeep, are secure and they are resistant to the elements. As well as being a very functional option, they are highly customisable. At Gates 4 You, we have 12 generic designs but because we fabricate everything in-house, we are also able to create bespoke gates to an existing design. Gates can also be finished in a variety of colours to either match existing gates or fences or even to match your branding. There are two main methods of treating metal gates; one of the most popular methods is to have them primed and then coated with powder for the final colour, the other method is to dip the whole gate in Zinc to galvanize it and then powder coat to finish. Primer followed by powder coating is a great option for domestic use but can fall down to galvanized gates in a commercial setting. 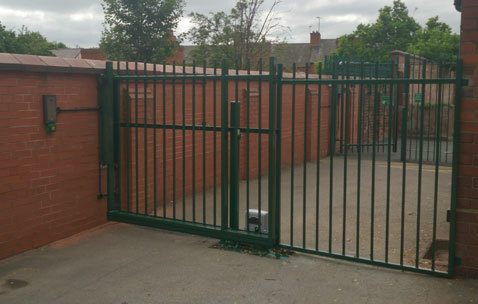 Powder coated gates are very resistant to the elements unless the coating is damaged. Once some of the coating is removed the gate is more vulnerable to rust. Due to the manufacturing process, galvanized gates don’t have this potential weakness making them ideal in situations where knocks and chips may occur. Wood gates are ideal if you want a softer appearance and are often the preferred choice for homeowners. Depending on the type of wood you use, it can also be a cheaper option than metal. 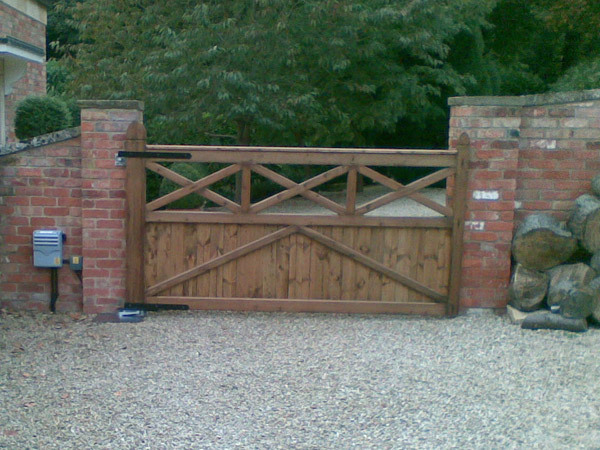 Wooden gates can come in either manual operation or automated operation. If automation is required, you will need to consult an expert to ensure that the type of wood and the design has been built to handle the stress of automated operation. As a natural material, wooden gates do require more maintenance to prolong the life of your gate and keep it looking its best. The wood is usually treated with a preservative during the manufacturing process, however, this doesn’t last forever. You will need to treat your gate regularly to ensure it doesn’t start to rot and to ensure it still looks good. Where space is at a premium, sliding gates are a great option. Because there is no swing space required, they’re typically suited to larger opening or in busy, congested, areas. Typically this type of gate works very well for a commercial space and is typically coupled with a metal gate. Sliding gates can be installed with both manual and automatic operation. Swing gates open like regular doors and only require a hinge to function. These gates are simple to use and can be operated using manual and automatic methods. Swing gates are often suited to a domestic setting because they require a clear space for the gate to swing into. This means that they’re not well suited to busy areas. A lot of wooden gates are installed with swing opening. Other types of gates include turnstiles and bollards. Turnstiles are perfect for entries that only involve personnel, while bollards can stop vehicular access while maintaining pedestrian access. Normally, the best way to decide which gate is right for you is to have a survey completed. During a survey, you can talk to an expert and they can take measurements and make recommendations on a type of operation that suits your needs. Usually, a gate manufacturer will have a few of the most popular designs available – at Gates 4 You, we have 12 designs. These readily available designs can be quickly suited to your specific gate dimensions. However, if you are looking for a unique look, custom orders are also possible from drawings or pictures. Contact us on 0116 236 6044 to arrange your survey, or to find out more about how we can help.